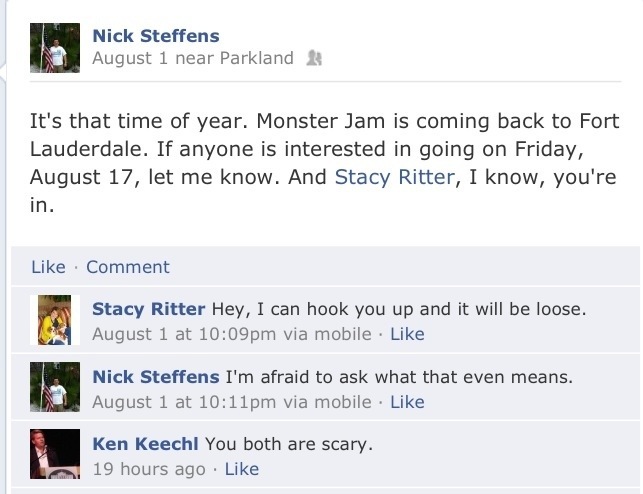 On Friday we told you about Broward Commissioner Stacy Ritter’s (D-Booby Trap) Facebook post to Broward School Board candidate Nick Steffens. Ritter told the much younger Steffens’ “Hey, I could hook you up and it will be loose.” Steffens was “afraid” to ask what Ritter meant by the comment. Steffens posts that Ritter is his “biggest fan”. 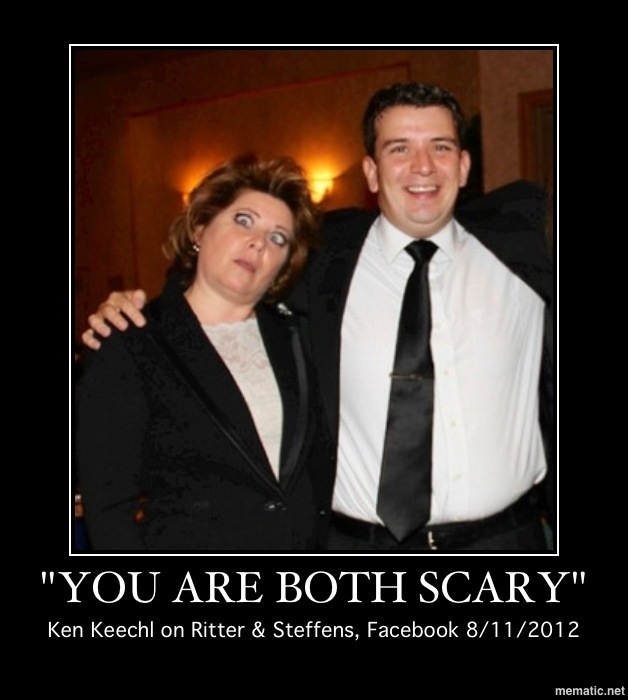 Voters can comment on Steffens and Keechl this Tuesday at their local polling place. Voters get their turn with Ritter in November.